Why not Practice Gratitude Every Day? As we enter the holiday season and prepare to celebrate Thanksgiving later this week, our hearts and minds will be filled with feelings of joy, cheer, giving and gratitude. During this time of year we tend to recognize and express our thanks to the people who make a difference in our lives and businesses. Appreciation and gratitude for our family, loved ones, friends and colleagues is expressed in a number of different ways, with greeting cards, shared meals, parties, gifts, kind words and more. In the appreciative spirit, consider if we approached every day with a “Thanksgiving” mindset and imagine for a moment what that might look like. How can we build gratitude into our everyday lives and make it part of our daily routine? And why should we? The research confirms that regularly practicing gratitude can improve physical and psychological health, reduce aggression, improve sleep and elevate self-esteem. With all those benefits, it seems like a valuable addition to anyone’s daily routine! Here are two simple ways to increase the level of gratitude and appreciation in your life. 1) Start using a “gratitude journal”. 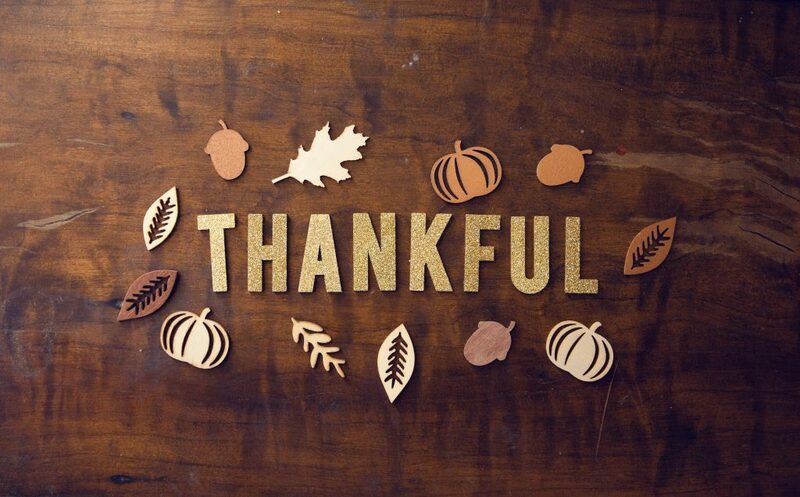 Set aside a short amount of time each day to reflect on what you’re thankful for and how you’ll express your gratitude for the day. This can be done as part of a morning routine, perhaps during your daily commute or as part of your evening routine before going to bed. I was introduced to the “5-minute Journal” several years ago, which allows you to quickly capture what you’re grateful for on a daily basis. I prefer the mobile app, which offers a quick, simple, digital interface for your mobile phone. The app includes other features like daily prompting, image capture and a timeline view. Over time, it has the ability to become a treasured collection of everything you have to be thankful for in your life. 2) When was the last time you sent a handwritten thank you note? As we live in an ever increasing digital environment, there is something extra special and meaningful about sending and receiving handwritten thank you notes. It delivers a level of personal attention and touch that can’t be matched through an email, text or even a phone call. Next time you meet someone or have a special reason to say “thanks”, consider sending a handwritten note to deliver that message. John Israel, also known as “Mr. Thank You”, did just that by committing to a year long initiative aimed at “elevating the level of gratitude on the planet by 1%, one thank you card at a time.” John’s goal was to send 5 handwritten thank you notes, every day, for 365 days straight. Amazingly, John fulfilled his goal and delivered 1,825 personal thank you notes, without missing a single day. Many of the people he sent notes to were not expecting them and had a profound effect. Some of his recipients included pilots, restaurant servers, teachers, friends, colleagues and more. Read about the amazing response in John’s inspiring story “The Mr. Thank you Project”. So as you pause to say “thank you” before your Thanksgiving meal, challenge yourself and others to a commitment of expressing gratitude on a daily basis. Even if you give it a try for 30-days, what’s the worst that can happen – you’ll just feel better and sleep better! Excellent post- so true and gives food for thought on Thanksgiving day 😍 and every day. A daily snippet of thanks gives pause and helps one count blessings not stressors.